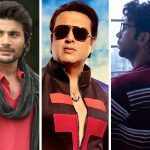 Latest Bollywood films Machine, Trapped and Aa Gaya Hero have been released this Friday with very low buzz among audience across the country and as predicted remained dull throughout the opening weekend. All three offerings have received poor response from audience and disappointed everyone with their performances on box office. While the same day released Hollywood film Beauty And The Beast has reported far better business in India. With around 10% of occupancy over the weekend and negative reviews from critics, Abbas-Mustan’s new project Machine registered the very low business of 1.75 crore from Indian screens, which was including 0.60 crore of Friday, 0.50 crore of Saturday and 0.65 crore of Sunday. 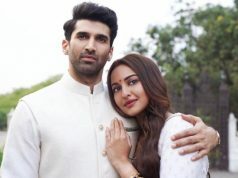 Now the Kiara Advani & Mustafa starrer has entered in weekdays and done the business of 0.40 crore on Monday with usual drop on normal working day. On the other hand, Vikramaditya Motwane’s directorial Trapped which has received very positive reviews from critics but failed to attract audience toward theaters. 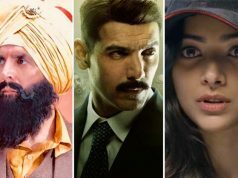 With 5-10% of occupancy, Rajkummar Rao starrer did the business of 1.45 crore in the first weekend, which was including 0.29 crore of Friday (incl 0.03 crore of Thursday previews), 0.47 crore of Saturday and 0.69 crore of Sunday. With usual drop, this survival thriller film collected the amount of 0.23 crore on Monday. 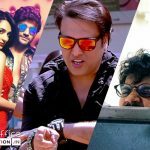 Last but not the least Aa Gaya Hero which is the comeback film of Govinda after a long time, unfortunately has got failed to follow the desired path. 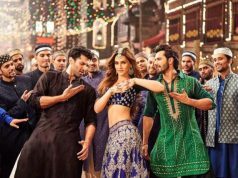 With little response on single screens, the film somehow managed to score 0.75 crore in the opening weekend with 0.25 crore of Friday, 0.25 crore of Saturday and 0.25 crore of Sunday. Now it has entered in weekdays and raked the amount of only 0.10 crore on Monday.